The Taylor was built in 2006 by Pinnacle Developments, a branch of Amacon Developments. The units at The Taylor come small and large. Due to the shapes the building The Taylor offers a large variety of very usable floor plans. The building offers extremely convenient townhouse living along Keefer Place and tower units from just over 500 SqFt to just under 1100 SqFt. 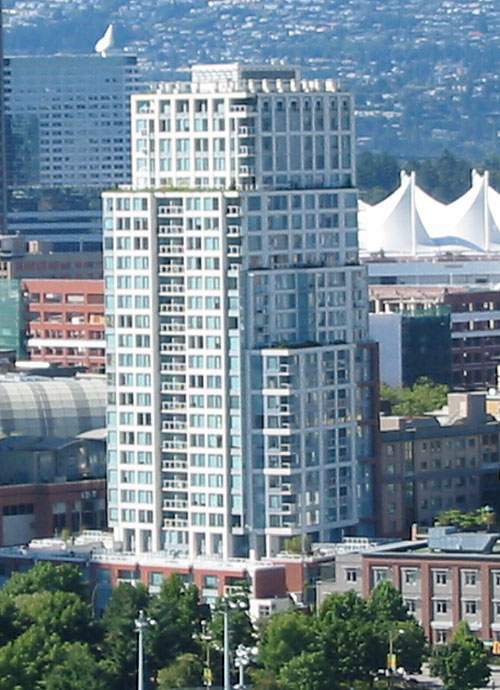 Due to its location in the middle of Crosstown, The Taylors higher floors are exposed to the water of both the Burrard inlet from the North & False Creek from the South. These views are unobstructed & really give you an appreciation of your positioning to it all in Downtown Vancouver's newest community of Crosstown. Being at the corner of Taylor St & Keefer Pl, 550 Taylor is situated just a block from of the main intersection of Crosstown & directly across the street from Andy Livingston Park. This building is a reliable one with a very pro-active Strata. Across Keefer Pl is the new Crosstown Day-care and playground. 550 Taylor offers comfort, convenience & reassurance in a great spot in a growing part of town. With the flexibility of no restrictions to Pets or Rentals this is a great investment opportunity as well as a perfect place to call home.